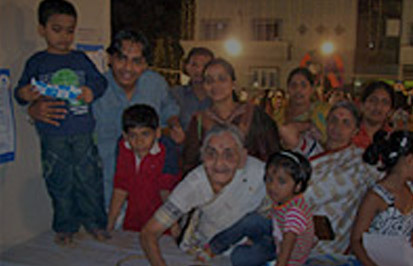 Club Enerji joined St. Mary's ICSE School, Navi Mumbai at the Energy Carnival Marygold URJA 2009 to spread the message of energy conservation. 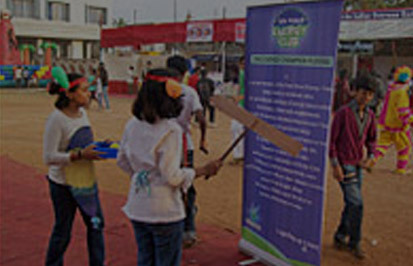 The Club Enerji Stall at the Carnival displayed several energy conservation messages in the form of posters, standees, banners and cut-outs. 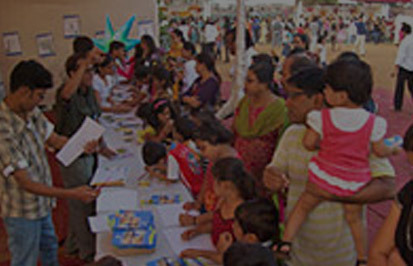 Activities at the stall began with visitors from all age groups reading the energy-conservation pledge and confirming their commitment to the cause by a signature campaign. Schoolchildren expressed their perspectives on energy conservation in an on-the-spot poster painting competition. All participants also expressed their concern and understanding with a slogan on "I love Mr. Ener-ji because.... "This activity also grabbed the attention and interest of parents and adults who encouraged the children and shared ideas. This made visitors, young and old, to explore various aspects of energy conservation through a flurry of questions to the Club Enerji team. A game was arranged in the stall with contestants throwing rings onto hooks attached to a board with pictures of energy vampires & energy savers (common household appliances that involve wastage of energy and those that enable energy saving). Prizes where given to those who successfully hooked the energy savers. Explanations were continuously given on the vampire and saving appliances to the participants to educate them on energy-saving practices. Our members from colleges also performed a song-and-dance sequence highlighting the energy-conservation theme.